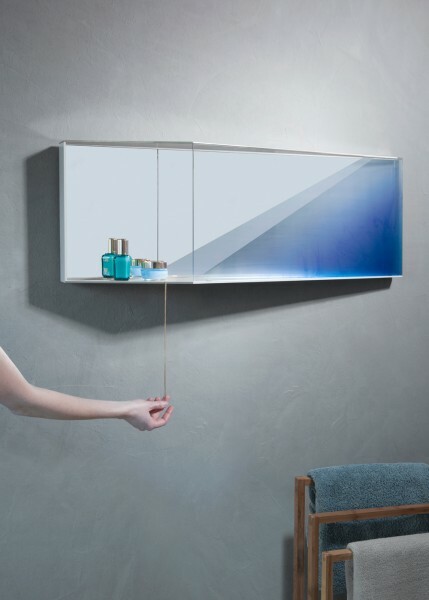 The mirror is mounted on the wall as a contemporary niche. The bright blue vapor projected on the angled plane create an effect of depth. In the resulting space, you can place an object. 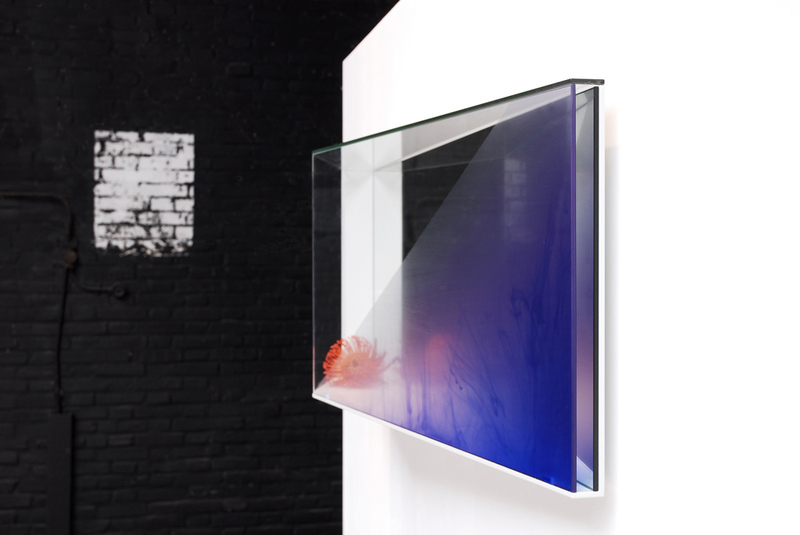 Fascinated by the effects of depth and transparency, Ruben and Iris have designed a series of interior mirrors. Reflections such as projected lines and colours on walls and floors provide an extra dimension which changes the mirror images during the day. 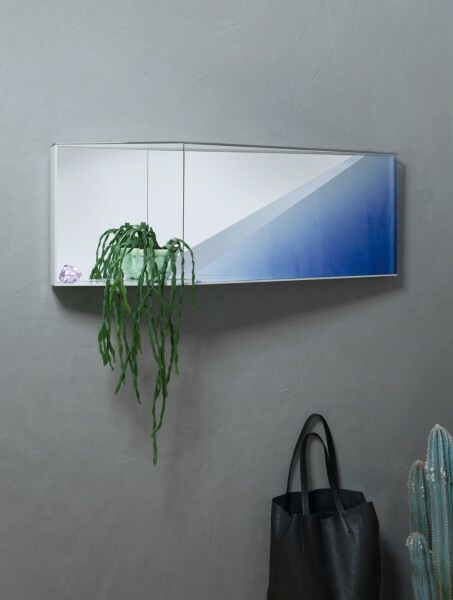 Thanks to the use of slanted steel, a transparent privacy mirror and laminated glass, exciting reflections are created with subtle fascinating effects. Transparency is again their focal point, they create a space that does not exist; a new image seems to emerge. You like to know the price, go to our webshop!